-- Select a Size/Color -- 1/2" Width x 6' Length 3/4" Width x 6' Length - Out of Stock! 1" Width x 6' Length - Out of Stock! Take a walk with your awesome pup! But your pup won't have to sacrifice comfort or safety in the great outdoors with this dog leash! 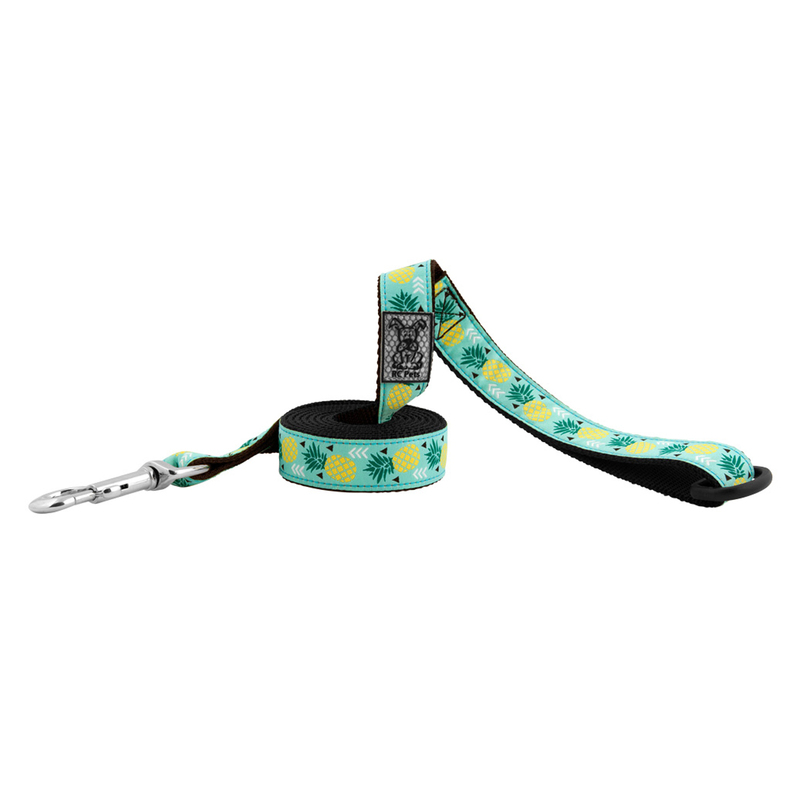 The Pineapple Parade Dog Leash is a durable, fun leash that is built with your dog in mind! The handle features a floating triangle for multiple purposes, such as carrying clip-on items! This leash features original RC Tape patterns, soft quality webbing, and nickel plated hardware. The reflective label keeps your pup safe in darker hours. Check out the matching collar (sold separately). Posted On 01/25/19 by Jennifer L from , Yes, Jennifer L recommends this product! Great quality, super cute and doesn’t tangle!! Posted On 07/02/18 by Korena S from King City, OR Yes, Korena S recommends this product! One of my favorite of their prints - probably because it reminds me of paradise. Love the color and RC Pets quality. Love this pattern! The pineapples are so fun for summer. I even bought the matching collar and my pup gets lots of compliments. Posted On 03/10/16 by Diane R from EWA BEACH, HI Yes, Diane R recommends this product!